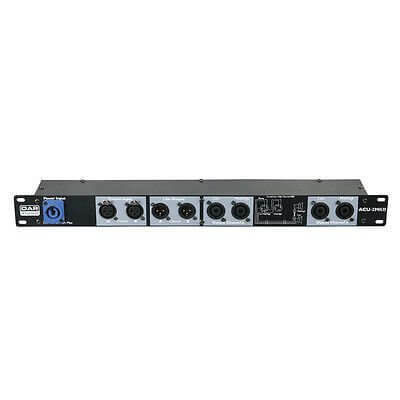 The DAP ACU-100 is a professional connection unit with 2 x XLR line-in, 2x XLR line-out and Speakon speaker-connectors for Low, Mid/High and bi-amping operation. At the backside of the ACU you'll also find a 230V power outlet for the connection of a powersplitter. Powercon lead for power not included - Add for Â£12.00.